At Jonker Custom Building we specialize in creative carpentry. Piet and Brad have extensive experience in new construction as well as renovation work and as graduates of VIU's Green Building and Renewable Energy Resource Program are apt at integrating green building technologies into our projects. 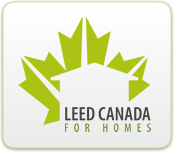 We design and build custom homes with minimal ecological footprints. By utilizing your sites' attributes and assessing your needs, we are able to build you a home that is economically efficient to run and is an extinsoin of yourself and the earth the building sits on.